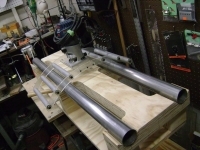 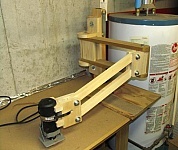 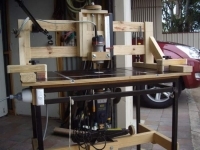 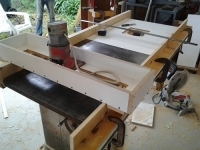 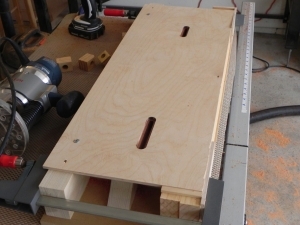 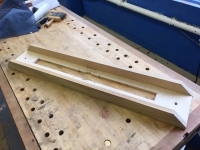 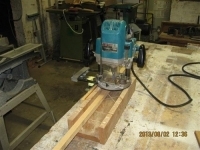 Homemade jig intended to facilitate production of mortises in table legs. 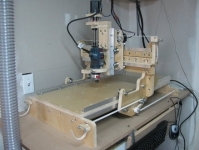 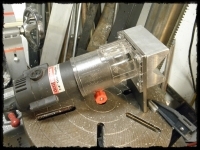 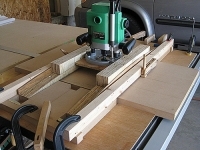 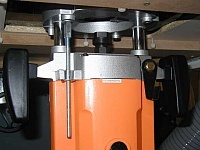 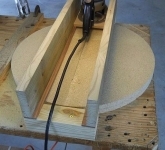 A piece of slotted plywood is mounted on top of a positioning jig with the router bit sliding along the slots through a guide bushing. 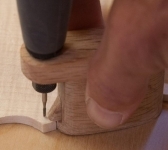 Very clever for a production kind of situation. 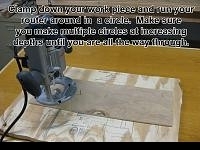 Helpful suggestion.